Formation en ligne souple et efficace pour découvrir les notions de base mais aussi les techniques avancées pour un service parfait auprès de vos clients. Avec l’arrivée du commerce électronique et du marketing web le service à la clientèle n’a jamais été aussi important pour les commerces traditionnels. A défaut du prix, la différence pour le consommateur se fait sur la différence de service, c’est l’expérience d’achat, l’importance d’obtenir des conseils personnalisés et la sécurité de retourner voir le marchant qui fait la différence et assure le futur des commerces traditionnels, les autres disparaitront. BONNES ET MAUVAISES ATTITUDES DE SERVICE ? Êtes-vous capable d’identifier les mauvaises attitudes dans ces vidéos de service à la clientèle extraites de notre formation E-learning à distance et de savoir comment il faut faire pour les corriger ? Vous trouverez les réponses en achetant notre cours en ligne mais aussi les solutions pour passer d’un mauvais service à une satisfaction parfaite du client. Ce cours n’est pas un cours sur mesure, mais une réponse à vos besoins génériques de connaissance de base au service client, il vous procure sans doute le meilleur rapport qualité prix sur le marché. La formation dure seulement 45 minutes, est disponible à un coût très modique, peut être suivie pendant ou en dehors des heures de travail afin de procurer une flexibilité maximum au client, dont on sait les difficultés pour garder son personnel pendant les heures ouvrables. – Préparation matérielle: les attitudes à éviter, se concentrer à 100% sur la réception du prochain client. Le client est prior itaire sur toute les tâches administratives et à plus forte raison sur les réseaux sociaux ou la consultation du téléphone portable. – Préparation psychologique: chaque client devrait être attendu et non perçu comme une gêne. • L’accueil du client: chaque client doit se sentir accueilli comme le seul client de la journée. Tout ce qu’il faut maitriser pour y arriver: les gestes, les mots, le sourire, la voix. Les mauvaises attitudes à éviter qui contribuent à froisser le client. Nous avons donc créé en nous associant avec Edu-Performance, un cours de service à la clientèle en ligne afin de répondre aux besoins de clients désirant diminuer leurs coût ou recherchant une flexibilité pour leur personnel. Nous avons été chercher les meilleures techniques de formation de service à la clientèle sur mesure choisies pour nos clients et les avons transposée dans l’univers du e-learning. Évaluez la valeur du temps perdu dans votre organisation avec notre calculateur. Pour avoir accès au calculateur, entrez tout simplement vos informations ci-dessous. The reorganization of the health system by entrusting responsibilities to either an integrated health and social services centre (CISSS) or a university integrated health and social services centre (CIUSSS) for the majority of health and social services in a given territory (RTS). This reorganization represented a chance to harmonize practices which ensuring more fluidity in the services offered by fusing diverse installations for the benefit of users and the general population. Due to its dense population of today and their consumption habits in the health and social services sector, the Montérégie region has been segmented into three CISSS territories including the integrated health and social services Centre Montérégie-Est which groups three health centres and one youth centre. The CIUSSS of the Montérégie region is an important cog in the health industry which employs a large number of people. In efforts to meet the training needs of these employees, the CIUSSS needed a training platform for its unionized employees and managerial staff. They required specific tools to help in their training process. A public corporation, the STM serves the mobility needs of residents and visitors by offering an efficient public transit system (bus and metro). It thus strengthens the reputation of metropolitan Montréal as an urban centre with a high quality of life and a prosperous economic hub that is respectful of the environment. At the heart of Montreal life since 1966, the city’s metro system counts 68 stations which allows 1.3 million people to move about the city daily. 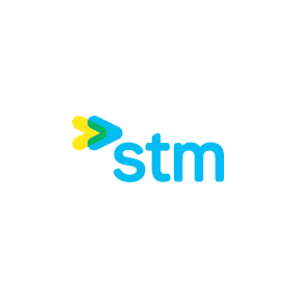 The STM is a corporation that prioritizes the training of its employees and has long-been investing in online training methods by creating numerous e-learning courses. They were searching for a distribution tool for their training of metro operators in Montreal. They already counted an on-site training project that dated back several years. They therefore needed a hybrid and evolving platform for its training needs that would be able to integrate all of their specific requirements. 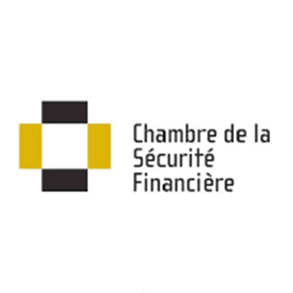 The Chambre de la sécurité financière is a self-regulatory organization whose mandate is to protect consumers by maintaining discipline and overseeing the training and ethics of its nearly 32,000 members. Their members practise in five sectors and registration categories: group savings plan brokerage, financial planning, personal insurance, group insurance and scholarship plan brokerage. The CSF carries out its mission by providing a stringent framework for the practices of the professionals who are its members and by contributing to the continuous enhancement of their knowledge. The CSF was in search of a LMS facilitates the display and distribution of online and classroom training for its 32,000 active members. This platform was to make possible the setting of several training activities, including content management, questionnaire creation, pricing, displaying certification, etc. It was also to enable the management of a large volume of registrations and link up with other systems. The issue was to find a LMS that could be adapted to your needs and be able to link the three systems. The LMS training platform was set to go online as planned in June 2015, allowing a better global experience for our members. Tactic! LMS offers numerous functionalities that allow us to have a greater flexibility in the management of our training. The Edu-performance team was able to walk us through the adaptation of the platform to our needs in order to optimize the experience for the training development team as well as for members. L’Ordre des infirmières et infirmiers du Québec is created from the results of provisions on the law governing nurses, L.R.Q, c. I-8, and is a professional corporation whose primary function is to assure the protection of the general public, conforming with the Professional Code, L.R.Q., c. C-26, controlling notably the practice of nursing by its members. The OIIQ was in need of a reliable and modern platform to help in the training of its 7,500 members. Following a thorough review of its offer in Quebec, their choice fell on Tactic! LMS, the training platform specialized for larger scale organizations and corporations. The Jean Coutu Group is one of the most trusted names in Canadian pharmacy retailing. The Corporation operates a network of 416 franchised stores in Quebec, New Brunswick and Ontario under the banners of PJC Jean Coutu, PJC Clinique, PJC Santé and PJC Santé Beauté, which employ more than 20,000 people. Furthermore, as of December 2007, the Jean Coutu Group owns Pro Doc Ltd (« Pro Doc »), a Québec-based subsidiary and manufacturer of generic drugs. 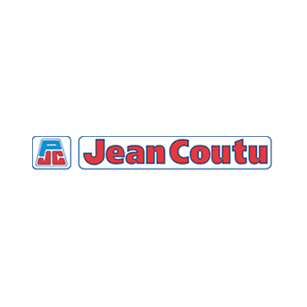 The Jean Coutu Group was searching for a very personalized training portal with the capability to assure the decentralized management of 700 outlets with 30,000 users where each store manager would have the ability to manage the training of his employees with the help of the specific functionality catered to their environment. Following their review of all possible offers available in Quebec, they opted for the one that proved to be the most solid in meeting their needs answering their technical and teaching characteristics in their commercial retail environment. Cominar Real Estate Investment Trust is one of the largest diversified real estate investment trusts in Canada and the largest commercial property owner and manager in the province of Quebec. Their real estate portfolio includes 537 office, retail, and industrial properties in the provinces of Quebec and Ontario, in the Atlantic Provinces and in Western Canada, representing more than $8.2 billion in assets. Cominar has for several years used various training resources. From on-site training and training support, to especially training via on-line capsules. 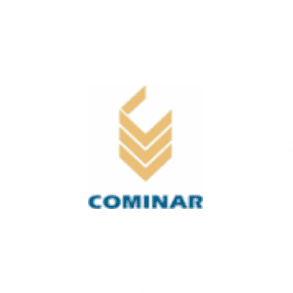 In efforts to unify its information systems and make it more accessible to its members, Cominar was looking for a solution which would also lend itself well to all types of mobile support. Having inherited from the strides made by l’Institut de Technologie de Tracy and l’Externat classique de Sorel, the Sorel-Tracy CEGEP was initially a campus for the St. Hyacinthe CEGEP in 1968-69 then as of 1970-71 the campus for Cégep régional Bourgchemin that reunited all three campuses of Drummondville, St. Hyacinthe and Sorel-Tracy. It became an autonomous CEGEP in 1980, moving into their new buildings the following year. Also, the Sorel Tracy CEGEP, a high-tech college, will count as of 2017 a full 50 years of higher education at both the pre-university level and in the technological sector. The CEGEP, born thanks to the support of the Lower Richelieu region, is renown in its category. As an educational institution, its mission is to train the heads, hearts and hands of its student body while promoting the integral development of self. It also counts a technology transfer centre in industrial ecology. As part of their training for companies, the Sorel-Tracy CEGEP needed an online information management platform for one of their most important clients for their needs across the province of Quebec. 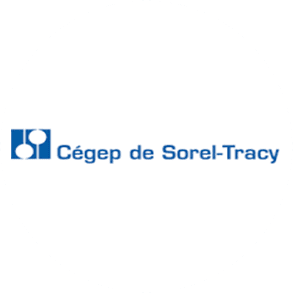 “The Sorel-Tracy CEGEP excels in training and in the technology sector. As an important player in the training of adults, we had to offer one of our clients a hybrid and high-performing training management system that could distribute information across Quebec. We chose Tactic! LMS for its great versatility and its capacity to train a large number of users who were geographically dispersed,” said Patrick Fortin from Sorel-Tracy CEGEP. La réorganisation du système de santé en confiant soit à un centre intégré de santé et de services sociaux (CISSS) ou à un centre intégré universitaire de santé et de services sociaux (CIUSSS) la majorité des services de santé et de services sociaux au cœur d’un réseau territorial de services (RTS). Cette réorganisation est une occasion d’harmoniser les pratiques, tout en assurant une meilleure fluidité des services offerts par la fusion des diverses installations, et ce, au profit des usagers et de la population. 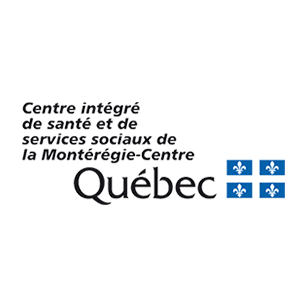 En raison de la densité de la population et de ses habitudes de consommation des services de santé et de services sociaux, la région de la Montérégie a été découpée en trois territoires de CISSS dont le Centre intégré de santé et de services sociaux de la Montérégie-Est qui regroupe 3 centres de santé et un centre de jeunesse. Le CIUSS de la Montérégie est un important ces intégré de santé employant un nombre important d’employés. Afin de répondre à une demande importante de formation continue, le CIUSS de la Montérégie avait besoin d’une plateforme de formation pour ses employés syndiqués et pour ses cadres. A noter que pour ses derniers, des outils spécifiques de gestion de la formation étaient requis. 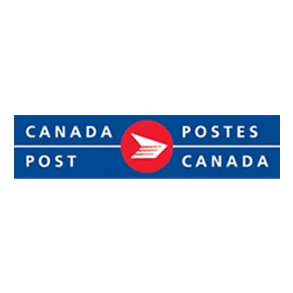 Canada Post is a Crown corporation that offers physical and electronic delivery solutions, creating value for their customers, employees and all Canadians. Their core values are based on innovation in the marketplace, the excellence of their customer service, integrity and respect. Canada Post was looking for an integrated solution that would allow for their Intranet to offer their employees an external solution for training needs which would be fully integrated, giving access to a bank of courses offered in both English and French to serve their employees across Canada. Among these courses would be for office automation, management as well as health and security in the workplace. The Languedoc-Roussillon-Midi-Pyrénées academic region groups the academies of Montpellier and Toulouse that are both maintained within their geographical limits. This organization allows a managerial group to guide public services from the State for national education. The meshing of academies is preserved to assure proximity of the schools, institutions and education reform while responding to the needs of users, personnel and elected officials. The academic region constitutes the alignment of regional educational policies, namely for questions requiring coordination with the regional council. 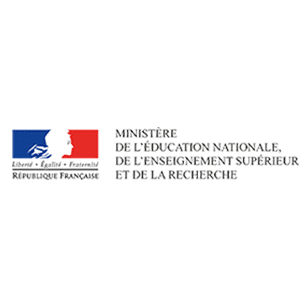 The board of education of Toulouse was mandated to offer national education officials office automation training in Office in French. A cooperative financial group whose mandate is to contribute to the economic and social well-being of people and communities within the compatible limits of its field of activity by continually developing an integrated cooperative network of secure and profitable financial services owned and administered by the members. It is also a network of complementary financial organizations with competitive returns controlled by the members and by educating people, particularly members, officers and employees, about democracy, economics, solidarity, and individual and collective responsibility. 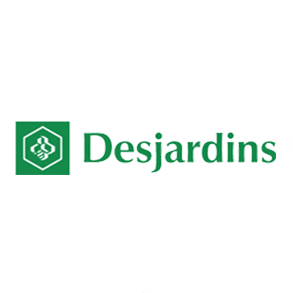 Desjardins Financial Securities, a subsidiary of Desjardins, was looking for access to our catalogue of office automation courses in order to ensure their employees receive top training for several years. Following their invitation to tender that we’ve won, we opened up access and several thousands of employees were trained thanks to our services. Building upon its experience, STANDARD strives to develop new product innovation in the lighting industry, and focuses on offering its clients all-inclusive lighting solutions. As experts in lighting, they are in a unique position to help protect the environment by promoting eco-energy solutions. Thanks to advancements in technology, this road to efficient energy is made possible through offering improved lighting and providing people with better quality of life, work and well-being. STANDARD prides itself on its dynamic, winning culture founded on the principal of participation from those in its environment. For the past six years, STANDARD has been recognized as one of the most well-managed companies in Canada. STANDARD is a high-performing company with a commercial structure that spans Canada from coast-to-coast. In order to ensure uniformity in their training and to accelerate their transfer of information and their training, they were in search of a fast and reliable type of media and an online training option. Having developed much of their own training content and looking to add our online content to complete their catalogue, they chose to accept our offer following their evaluation. 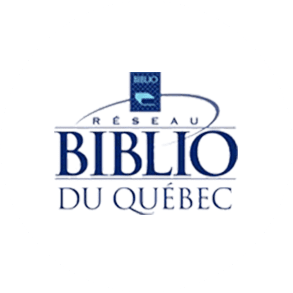 The Reseau BIBLIO du Quebec is a provincial grouping of resources from all regional networks to maintain and develop library networks and represent them on issues of common interest. It unites 788 libraries from across Quebec and counts over 367,000 members. The BIBLIO du Quebec network was looking to add a software that would serve to help in phonological awareness, addressing children with learning disabilities in language, those learning to first read and write and kids with dyslexia. Their choice was Metafo, a software developed by Edu-Performance in collaboration with researchers and clinicians from the l’Université and l’Institut Universitaire de Gériatrie de Montréal. 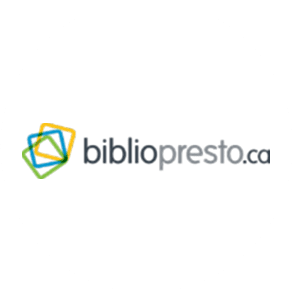 BIBLIO PRESTO is a non-profit organization whose mandate is the development and promotion of online services offered by Quebec’s public libraries. This mandate can be broken up into three segments: administrate develop and then promote PRETNUMERIQUE.CA is a platform for lending out e-books, negotiate collective licences for these digital resources (databases, newspapers, encyclopedias, etc) and third to coordinate REPONSEATOUT.CA a cooperative virtual reference service. Quebec public libraries want to offer their users tools for self-training, notably those concerning office automation. To answer this need, BIBLIOPRESTO.CA identified Edu-Performance as the ideal partner not only because of the pertinence of its training offers, but also due to the level of interactivity of its proposed content. Today, over 60 municipal libraries across Quebec, including the Bibliothèque et Archives nationales du Québec now gives access through their respective web portals to Edu-Performance’s training services. At once a national library, national archives and public library of a major metropolitan city, Bibliothèque et Archives nationales du Québec (BAnQ) brings together, preserves and promotes heritage materials from or related to Québec. As a key player of the knowledge society and a genuine cultural hub, BAnQ strives to democratize access to knowledge. It carries out its activities in 12 facilities which are open to the public across Québec. 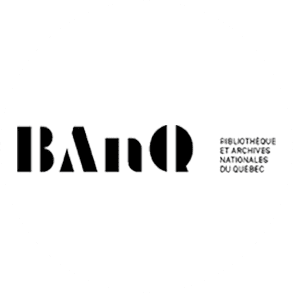 BAnQ is the holder of the documented heritage of Quebec and as such had to house the online content produced by Edu-Performance in order for its 12 institutions to make it available to Quebecers everywhere. 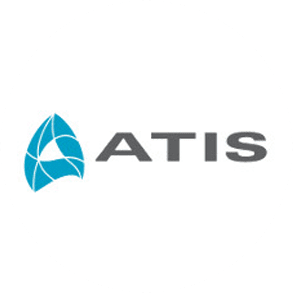 ATIS Group Inc. is a leading manufacturer and distributor of windows and doors in Canada, with nine manufacturing facilities located in Quebec, Ontario, British Columbia and New Brunswick, 14 corporate points of sale and operations all across Canada. Due to their numerous points of sale and the quantity of information to support regarding their products, the Atis Group needed to make their training techniques uniform for doors and windows and all those who offer their products across their 14 points of sale across Canada in both English and French. An online solution appeared to them to be the best course of action to achieve their goals. L’Institut Nazareth et Louis-Braille (INLB) is part of the new CISSS de la Montérégie-Centre. 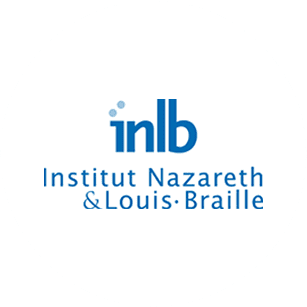 The only specialized rehabilitation centre dedicated to the visually impaired, l’Institut Nazareth et Louis-Braille (INLB) has been providing its expertise for over 153 years and counting. Its head office is located in Longueuil right by the metro. L’Institut Nazareth et Louis-Braille also counts points of service in Montreal, Laval and St-Jean-sur-Richelieu. L’institut Nazareth Louis Braille was looking to create training content in the field of visual impairment for their workers in the various health institutions across Quebec. For efficiency and ease of distribution of information, they opted for a tailor-made online course, making the choice of Edu-Performance Canada the right one in light of its expertise in the field of development of Health services courses. 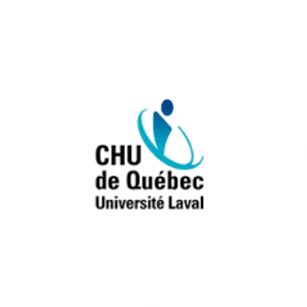 The CHU de Québec-Université Laval regroups five hospitals and represents over 13,500 employees and 1,540 medical doctors. The CHU serves all of eastern Quebec and a portion of northern New Brunswick, bringing its total reach to over 2 million people. It is the biggest university hospital centre in Quebec, and one of the three biggest CHU in Canada and one of the important employers in the Quebec City area. It is also the biggest francophone health research centre in North America and one of the biggest maternity centres in Canada. It is also a leader in university education in Quebec. The CHU de Québec in among the biggest CHU in Quebec and necessitates the putting in place a solid framework for training which could be accessible at all times by their personnel across the province. It is for this reason that they opted for the online training solutions offered by Edu-Performance for its extensive experience in the development of courses applicable to the medical sector. Our collaboration led to the creation of over 20 courses in clinical and management training. Hydro-Quebec generates, transmits and distributes electricity. Its sole shareholder is the Government of Quebec. It uses mainly renewable generating options, in particular large hydroelectricity, and supports the development of other technologies—such as wind energy and biomass. A responsible corporate citizen committed to sustainability, Hydro-Quebec carries out construction projects to prepare for the future. It also conducts R&D in energy-related fields, including energy efficiency. The company is comprised of four divisions. Hydro-Québec est l’un des plus grands producteurs de contenus en ligne au Québec avec un volume de développement très important, que cela soit à l’interne comme à l’externe. Au fil des années, ils ont développé des centaines de cours avec notre Éditeur Tactic! Editeur que nous leur avons ensuite converti dans une nouvelle interface technologique. A titre de partenaire de développement externe, nous leur avons également développé des cours sur mesure. Hydro-Quebec is one of the largest producers of online content in the province with a high volume both internally and externally. Over the years, they have developed hundreds of courses with the help of our Tactic! Editor which we customized and converted for them into a technology interface. As an external development partner, we have also developed some customized courses for them. “Over the years, Edu-Performance Canada has been one of our partners in the area of self-training courses. Their reactive approach and professional experience and their knowledge of e-Learning technologies were a big motivator for us to select them as our partner,” explained Ms. Brigitte Boily. L’Hôpital du Sacré-Cœur de Montréal provides specialized care and services in a myriad of medical fields both surgical and psychiatric which are offered both in hospitals and in ambulances. It is part of the Centre intégré universitaire de santé et des services sociaux du Nord de l’Île de Montréal. 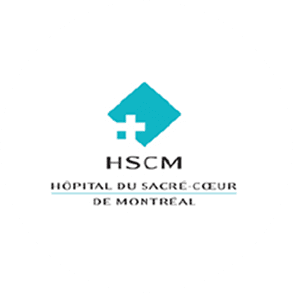 L’Hôpital du Sacré-Cœur de Montréal was looking to modernize its training system and has its content be more readily available to a larger number of its employees. It naturally turned to an online training program and opted to go with Edu-Performance to develop their online training content on medullar injuries. 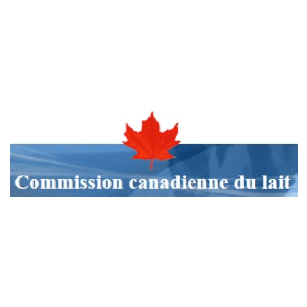 The Canadian Dairy Commission is a Crown corporation which was established in 1966 with the mandate of coordinating federal and provincial dairy policies and creating a control mechanism for milk production which would help stabilize revenues and avoid costly surpluses. The CDC plays a key role as a facilitator and stakeholder in the various forums that influence dairy policy in Canada and offers a framework for the management of the industry as a whole, which is a jurisdiction shared by the federal government and the provinces. The Canadian Dairy Commission was looking to make their training modules available online. Following their consultative search for the right partner, they opted for Edu-Performance Canada to create their training tools in both CD and e-Learning formats. The Douglas Institute is part of the Centre intégré universitaire de santé et de services sociaux (CIUSSS) de l’Ouest-de-l’Île-de-Montréal. It regroups three other health centres: Douglas Mental Health University Institute, Grace Dart Extended Health Centre and the St. Mary’s Hospital Centre. In collaboration with people living with mental health problems, their family and the community, the mission of the Douglas Institute is to offer cutting-edge care and services while advancing and share knowledge in mental health. The Douglas Institute needed to publicize and raise awareness of its online courses to make them more accessible to a greater number of people at a lower cost. They opted for Edu-Performance due to its vast experience in and its capacity to efficiently collaborate with the Institute. André holds a Bachelor’s degree in Law (licence) from the University of Montpelier and another in Business Management from the University of Paris. For 25 years, he’s blended his passion for computers and training by launching Edu-Performance. Involved in the programming and the educational design as well as in the business development of the company, André has developed a great expertise regarding the multi-faceted aspects of e-Learning. At first mostly focused on the creation of quality Office automation contents used both in Canada and in Europe and making it famous, André made a technological turn in the mid-1990s by adding a high-performance hybrid LMS platform to its wide range of products and services as well as a catalog of online training with over 800 products. André has the reputation of being one of the pioneers of e-Learning in the French world and has won back to back MIM Trophies (Multimedia International Market) in 1999 and2000 in the “Online training content” category. His experience with both e-Learning and Social Learning had him address crowds as a guest speaker inParis at the e-Learning Expo. The Canadian Air Transport Security Authority is a Crown corporation responsible for securing specific elements of the air transportation system – from passenger and baggage screening, to screening airport workers. CATSA needed an effective training platform to help manage its training process for their over 6,000 screening agents across Canada. CATSA put out a call for bids in August 2015 which was won by Edu-Performance. The selection of Tactic! LMS took into account the expertise of Edu-Performance, the numerous functions of the product, its resiliency, its ease of use and flexibility, as well as numerous references from client-users of Tactic! LMS. 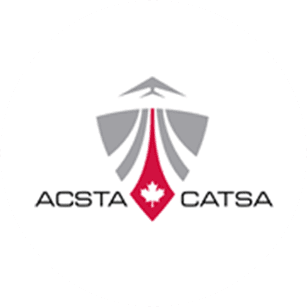 Edu-Performance fit one crucial criteria for CATSA, our capacity to deliver on time in light of the various configurations that required specific requirements on the part of CATSA. La Commission canadienne du lait (CCL) est une société d’État constituée en 1966 avec pour mandat de coordonner les politiques laitières fédérales et provinciales et de créer un mécanisme de contrôle de la production laitière de manière à stabiliser les revenus et à éviter les surplus de production coûteux. Elle joue un rôle de facilitateur et d’intervenant au sein des tribunes qui influencent la politique laitière canadienne et offre un cadre à la gestion de l’industrie, une juridiction que se partagent le gouvernement fédéral et les provinces. La commission canadienne du lait désirait mettre à la disposition des internautes des modules d’information sur son site internet. Après consultation, elle a choisir Edu-Performance Canada afin de créer des modules de formation en format CD ou elearning. L’Hôpital du Sacré-Cœur de Montréal dispense des soins et services spécialisés et ultra spécialisés dans un large éventail de disciplines médicales, chirurgicales et psychiatriques offertes en hospitalisation et en mode ambulatoire. Il fait partie du Centre intégré universitaire de santé et des services sociaux du Nord de l’Île de Montréal. L’hôpital sacré cœur voulait moderniser son système de formation afin rendre ses contenus disponibles à un plus grand nombre de ses employés des formations. Il s’est naturellement tourné vers la formation en ligne et a choisi Edu-Performance afin de développer un contenu de formation en ligne sur les blessures médullaires. Hydro-Québec produit, transporte et distribue de l’électricité. Son unique actionnaire est le gouvernement du Québec. Exploitant essentiellement des sources d’énergie renouvelables, et plus particulièrement la grande hydraulique, elle soutient le développement d’autres filières – comme l’éolien et la biomasse – par ses achats auprès de producteurs indépendants. Entreprise responsable, engagée envers le développement durable, elle mène ses projets de construction dans le but de préparer l’avenir. Elle fait aussi de la recherche-développement dans le domaine de l’énergie, y compris l’efficacité énergétique. L’entreprise compte quatre divisions. Hydro-Québec est l’un des plus grands producteurs de contenus en ligne au Québec avec une volume de développement très important, que cela soit à l’interne comme à l’externe. Au fil des années, ils ont développé des centaines de cours avec notre Éditeur Tactic! Editeur que nous leur avons ensuite converti dans une nouvelle interface technologique. A titre de partenaire de développement externe, nous leur avons également développé des cours sur mesure. L’institut Douglas avait besoin de médiatiser certains de leurs cours en formation en ligne afin de les rendre accessible à un plus grand nombre et au meilleur coût. Ils ont opté pour Edu-Performance en fonction de sa grande expérience et de sa capacité à collaborer efficacement avec l’institut. Le CHU de Québec-Université Laval regroupe cinq hôpitaux, et représente près de 13 500 employés et 1540 médecins. Le CHU dessert la population de tout l’est du Québec et une partie du nord est du Nouveau-Brunswick, soit un bassin de près de 2 millions de personnes. C’est le plus important centre hospitalier universitaire du Québec, l’un des trois plus importants CHU au Canada et l’un des plus importants employeurs de la région de la Capitale-Nationale. C’est aussi le plus imposant centre de recherche francophone en santé en Amérique du Nord, l’une des plus grandes maternités au Canada et le plus grand pôle d’enseignement universitaire au Québec. Le CHU de Québec est l’un des plus grands CHU de Québec et nécessitait de mettre en place une ossature de formation solide et accessible en tout temps à l’ensemble de ses personnels. C’est la raison pour laquelle il s’est penché sur la formation en ligne et a choisi Edu-Performance Canada pour sa grande expérience dans le développement de cours appliqués au secteur médical. Cette collaboration a engendré le développement d’une vingtaine de cours en formation clinique et de gestion. L’Institut Nazareth et Louis-Braille (INLB) fait partie du nouveau CISSS de la Montérégie-Centre. Seul centre de réadaptation spécialisé uniquement en déficience visuelle au Québec, l’Institut Nazareth et Louis-Braille (INLB) puise son expertise à travers plus de 153 ans d’existence. Son siège social est situé à Longueuil, à quelques pas du métro. L’Institut Nazareth et Louis-Braille possède également des points de services à Montréal, Laval et Saint-Jean-sur-Richelieu. L’institut Nazareth Louis Braille avait besoin de créer un contenu de formation aux maladies oculaires afin de pouvoir le rendre accessible auprès des intervenants dans les divers institutions de santé a la grandeur du Québec. Pour des raisons d’efficacité et de diffusion, il a opté pour un cours en ligne sur mesure dont le choix du fournisseur s’est posé sur Edu-Performance Canada pour son expertise dans le domaine du développement de cours en Santé. A cause de leurs nombreux points de ventes et de la quantité d’informations à supporter en ce qui concerne leur produit, le groupe Atis avait besoin d’uniformiser la formation technique au portes et fenêtres et le discours de tous ceux qui offrent les produits de leurs 14points de ventes tant en anglais qu’en français au Canada. La solution en ligne leur paraissait comme le seul vecteur capable de remporter ce défi. À la fois bibliothèque nationale, archives nationales et bibliothèque publique de grande métropole, Bibliothèque et Archives nationales du Québec (BAnQ) rassemble, conserve et diffuse le patrimoine documentaire québécois ou relatif au Québec. Véritable carrefour culturel, BAnQ œuvre à la démocratisation de l’accès à la connaissance à titre d’acteur clé de la société du savoir et déploie ses activités dans 12 édifices ouverts à tous sur le territoire du Québec. Banq est la banque du patrimoine documentaire au Québec et à ce titre, se devait d’héberger les contenus en ligne produits par Edu-Performance pour en faire bénéficier à ses 12 établissements ouvert à tous au Québec. BIBLIOPRESTO. est un organisme à but non lucratif dont le mandat est le développement et la promotion des services en ligne auprès des bibliothèques publiques québécoises et de leurs usagers. Son mandat se décline principalement en trois volets : administrer, développer et faire la promotion de PRETNUMERIQUE.CA , la plateforme de prêt de livres numériques, négocier des licences collectives d’abonnement à des ressources numériques (bases de données, journaux, encyclopédies, etc.) et coordonner le projet REPONSEATOUT.CA, un service de référence virtuelle coopérative. Les bibliothèques publiques québécoises désirent offrir à leurs usagers des outils d’autoformation, notamment en ce qui a trait à la bureautique. Pour répondre à ce besoin, BIBLIOPRESTO.CA a identifié Edu-Performance comme un partenaire idéal, non seulement à cause de la pertinence de son offre de formation, mais aussi grâce à la grande interactivité des contenus proposés. Aujourd’hui, plus de 60 bibliothèques municipales d’un peu partout au Québec, de même que Bibliothèque et Archives nationales du Québec, rendent accessibles, à partir de leur portail Web, les formations d’Edu-Performance. Le Réseau BIBLIO du Québec est un regroupement national qui vise à unir les ressources des Réseaux BIBLIO régionaux pour maintenir et développer leur réseau de bibliothèques et de les représenter auprès des diverses instances sur des dossiers d’intérêts communs. Il regroupe 788 bibliothèques à travers le Québec, ce qui représente près de 367.000 abonnés. Le réseau Biblio du Québec cherchait à ajouter un logiciel œuvrant dans le développement de la conscience phonologique et s’adressant aux enfants qui éprouvent des difficultés dans l’apprentissage du langage, qui apprennent à lire et à écrire, et aux enfants dyslexiques. Leur choix s’est porté sur Metafo, un logiciel développé par Edu-Performance en collaboration avec des chercheurs et cliniciens de l’Université et de l’Institut Universitaire de Gériatrie de Montréal. STANDARD est une entreprise qui non seulement ambitionne d’occuper le premier rang dans l’industrie de l’éclairage, mais également d’améliorer la qualité de la vie par le biais de formules d’éclairage de qualité et d’efficacité supérieures. En tant que professionnels en matière d’éclairage, elle dispose d’une occasion inégalée de protéger notre environnement au moyen d’une définition de solutions d’éclairage éco énergétiques. Grâce aux progrès technologiques, ce cheminement vers l’efficacité énergétique engendre un éclairage amélioré qui offre aux gens une meilleure qualité de vie, de travail et de bien-être. STANDARD s’enorgueillit de sa culture gagnante et dynamique : c’est une culture fondée sur la complicité et la participation des gens qui œuvrent dans son environnement. Depuis plus de 6 ans, STANDARD est reconnue comme l’une des sociétés les mieux gérées au Canada. Standard est une compagnie performante dont la structure commerciale est étendue à la grandeur du Canada. Pour assurer l’homogénéite de la formation et d’accélerer la transmission de l’information et de la formation, il leur fallait un media sur et rapide tel que la formation en ligne. Développant de nombreux contenus de formation et désirant y ajoutant nos contenus en ligne afin de compléter leur catalogue, ils ont décidé de choisir notre offre après l’avoir évalué. 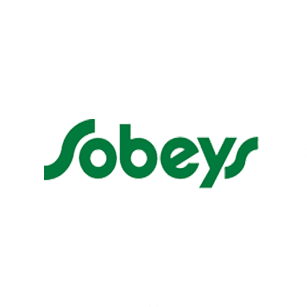 Fière entreprise canadienne présente dans le secteur de l’alimentation depuis 108 ans, Sobeys Inc. est une filiale en propriété exclusive d’Empire Company Limited dont le siège social est situé à Stellarton en Nouvelle-Écosse. S’étant donné pour mission d’être un créateur inégalé d’expériences donnant aux Canadiens le goût de mieux manger, Sobeys et ses marchands affiliés et franchisés emploient plus de 125 000 personnes d’un océan à l’autre. Dans le cadre de leur formation des cadres, Sobeys cherchait des cours de management en ligne afin de les ajouter à leur plateforme LMS et les offrir à leurs employés à travers le canada, soit autant en français qu’en anglais. Après s’être assuré que nos cours étaient compatibles avec leur LMS et que la qualité des cours correspondait à leurs critères, Sobeys a choisi d’intégrer notre offre à leur catalogue. 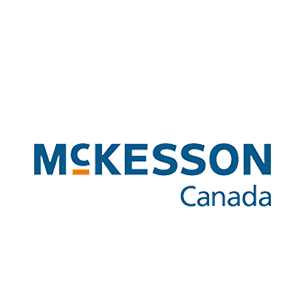 Depuis plus de 100 ans, McKesson Canada est le chef de file en matière de logistique et de distribution dans le secteur des soins de santé au Canada. Ils offrent aux fabricants et aux pharmacies les meilleures solutions d’approvisionnement pour s’assurer que les produits pharmaceutiques d’origine, génériques et en vente libre parviennent à leurs clients du secteur pharmaceutique et à leurs patients. MacKesson avait besoin de cours de formation en ligne en bureautique et en Management afin de fournir cette prestation en ligne à l’ensemble de leurs employés au Canada. Disposant de leur propres LMS, ces cours devaient fonctionner et correspondre selon les normes AICC-SCORM avec leur LMS. Après plusieurs tests, et satisfait de la qualité des cours Edu-Performance et de l’aspect technique, ils nous ont choisi comme fournisseurs de contenus elearning. Groupe financier coopératif dont la mission est de contribuer au mieux-être économique et social des personnes et des collectivités dans les limites compatibles de notre champ d’action en développant un réseau coopératif intégré de services financiers sécuritaires et rentables, sur une base permanente, propriété des membres et administré par eux, et un réseau d’entreprises financières complémentaires, à rendement concurrentiel et contrôlé par eux et en faisant l’éducation à la démocratie, à l’économie, à la solidarité et à la responsabilité individuelle et collective, particulièrement auprès de nos membres, de nos dirigeants et de nos employés. Desjardins sécurité financières, une filiale de Desjardins, avait besoin d’un accès à notre catalogue de cours bureautiques afin d’assurer la formation de ses employés pour plusieurs années. A la suite d‘un appel d’offre que nous avons remporté, nous leur avons ouvert des accès et plusieurs milliers d’employés se sont formés grâce à nos formation. La région académique Languedoc-Roussillon-Midi-Pyrénées regroupe les académies de Montpellier et de Toulouse, qui sont maintenues pour leur part dans leurs limites géographiques actuelles. Ce choix d’organisation permet de maintenir un cadre cohérent adapté à la gestion du premier service public de l’État qu’est l’éducation nationale : le maillage en académies est conservé pour assurer un pilotage de proximité des écoles, des établissements et des réformes pédagogiques tout en répondant aux attentes des usagers, des personnels et des élus locaux. La région académique constitue l’échelon de mise en cohérence des politiques éducatives régionales, en particulier pour les questions requérant une coordination avec le conseil régional ou la préfecture de région. Le rectorat de Toulouse a été mandaté afin d’offrir aux fonctionnaires de l’éducation nationale des cours de formation à la bureautique sur Office en Français. Postes Canada est une société de la couronne qui offre des solutions novatrices en matière de livraison physique et électronique qui bénéficient à ses clients, à ses employés et à tous les Canadiens. Ses valeurs de base sont l’innovation sur le marché, l’excellence du service à la clientèle, l’intégrité et le respect. Héritier de l’Institut de Technologie de Tracy et de l’Externat classique de Sorel, le Cégep de Sorel-Tracy a d’abord été institué comme campus du Cégep de Saint-Hyacinthe en 1968-1969 puis, dès 1970-1971, comme campus du Cégep régional Bourgchemin qui réunissait alors les trois campus de Drummondville, de Saint-Hyacinthe et de Sorel-Tracy. Il devient un Collège autonome en 1980 et s’installe dans des locaux neufs l’année suivante. Ainsi, le Cégep de Sorel-Tracy, un collège hautement technologique, comptera en 2017, une cinquantaine d’années d’histoire d’enseignement supérieur tant au secteur préuniversitaire qu’au secteur technique. Le Collège, né de la volonté régionale du Bas-Richelieu, est reconnu et très estimé de son milieu. Comme maison d’enseignement, il s’est donné pour mission de former la tête, le cœur et la main dans une perspective de développement intégral de la personne. Il est aussi doté d’un Centre collégial de transfert technologique en écologie industrielle. Dans le cadre de la formation continue auprès des entreprises, le CEGEP Sorel-Tracy avait besoin d’une plateforme de gestion de la formation en ligne pour l’un de leur gros client également et dispersé à la grandeur du Québec. ¨Le Cegep de Tracy excelle dans la formation et dans le domaine des technologies. En tant qu’acteur important dans le domaine de la formation aux adultes, nous avons dû fournir à l’un de nos clients une plateforme de gestion de la formation hybride performante capable de diffuser la formation au travers du Québec. Nous avons choisi Tactic! LMS pour sa grande versatilité et sa capacité à former un nombre important d’utilisateurs géographiquement dispersés nous a commenté Patrick Fortin du Cegep Sorel-Tracy¨. Entreprise publique, la STM assure les besoins de mobilité de la population en offrant un réseau de transport collectif (bus et métro) performant. Elle contribue à faire de l’agglomération de Montréal, un endroit reconnu pour sa qualité de vie, ainsi qu’un pôle économique prospère et respectueux de son environnement. Au cœur de la vie montréalaise depuis 1966, le réseau de métro compte 68 stations et assure plus de 1, 3 million de déplacements par jour. La STM est une entreprise qui a mis comme priorité la formation de ses employées et s’est investi depuis longtemps dans la formation en ligne en créant de nombreux cours elearning. Elle cherchait un outil de diffusion de ces formations pour former les opérateurs de métro à Montréal. D’autre part, elle avait un projet pour la formation présentielle principalement de ses cadres sur plusieurs années. Il lui fallait donc une plateforme évolutive hybride de formation pouvant gérer l’intégralité de ses besoins. Cominar est l’un des plus importants fonds de placement immobilier diversifiés au Canada et le plus important propriétaire et gestionnaire d’immeubles commerciaux au Québec. Son portefeuille est composé de 537 immeubles de bureaux, commerciaux et industriels de qualité situés au Québec, en Ontario, dans les Provinces atlantiques et dans l’Ouest canadien totalisant plus de 8,2 milliards $ d’actif. Cominar utilise depuis plusieurs années différentes ressources de formation. De la formation présentielle, des supports de formation variées, et surtout des capsules de formation et d’information en ligne. Pour unifier son système d’information et le rendre facilement accessible à l’ensemble de ses membres, Cominar recherchait une solution permettant également l’utilisation sur différents types de supports mobiles. Le Groupe Jean Coutu est une entreprise renommée dans le domaine du commerce de détail en pharmacie au Canada. La Société exploite un réseau de 416 établissements franchisés, tous situés dans les provinces de Québec, du Nouveau-Brunswick et de l’Ontario sous les bannières PJC Jean Coutu, PJC Clinique, PJC Santé et PJC Santé Beauté, qui emploie près de 20 000 personnes. De plus, le Groupe Jean Coutu possède Pro Doc ltée (« Pro Doc »), une filiale située au Québec, qui fabrique des médicaments génériques. Le groupe Jean Coutu avait besoin d’un portail de formation très personnalisé capable d’assurer une gestion décentralisée de 700 succursales d’environ 30000 usagers, ou chaque gérant de magasin devait avoir la capacité de gérer lui-même la formation de ses employés à l’aide de fonctionnalités spécifiques adaptées à leur environnement. Après avoir passé en revue les offres disponibles au Québec, il a retenu celle qui lui semblait la plus solide afin de répondre aux caractéristiques technique et pédagogiques de son environnement propre de commerce de détail. 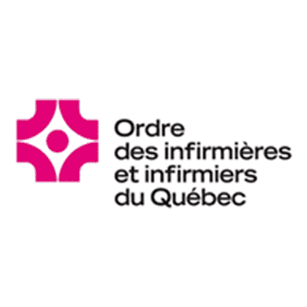 L’Ordre des infirmières et infirmiers du Québec, dûment constitué en vertu des dispositions de la Loi sur les infirmières et les infirmiers, L.R.Q., c. I-8, est un ordre professionnel dont la fonction principale est d’assurer la protection du public, conformément au Code des professions, L.R.Q., c. C-26, en contrôlant notamment l’exercice de la profession infirmière par ses membres. L’OIIQ avait besoin d’une plateforme fiable et de nouvelle génération afin de gérer la formation pour ses 75000 membres. Après avoir passé en revue l’essentiel de l’offre au Québec, son choix s’est naturellement posé sur Tactic! LMS, la plateforme de formation spécialisée pour les organisations et corporations de grande taille. La CSF accomplit sa mission en assurant un encadrement vigilant des pratiques et en contribuant à l’amélioration continue des connaissances des professionnels qui en sont membres. La CSF était à la recherche d’un LMS qui permettrait de faciliter l’affichage et la diffusion de formation en ligne et en salle pour ses 32 000 membres actifs. Cette plateforme devait rendre possible la configuration de plusieurs activités de formation incluant notamment la gestion des contenus, la création de questionnaires, la tarification, l’affichage d’attestations, etc. Elle devait également permettre de gérer un grand volume d’inscriptions et faire le lien avec d’autres systèmes. L’enjeux était de trouver un LMS qui pouvait être adapté à leurs besoins et d’être en mesure de relier les trois systèmes. La plateforme de formation LMS fut mise en ligne tel que prévu en juin 2015, permettant une meilleure expérience globale pour nos membres. Tactic! LMS offre de nombreuses fonctionnalités qui nous permettent d’avoir une plus grande flexibilité dans la gestion de nos formations. L’équipe d’Eduperformance a su nous accompagner dans l’adaptation de la plateforme à nos besoins afin d’optimiser l’expérience tant du côté de l’équipe de développement de la formation que du côté des membres. L’ Administration canadienne de la sûreté du transport aérien est une société d’État chargée d’assurer la sûreté des aspects critiques du système de transport aérien – du contrôle des passagers et des bagages au contrôle des employés des aéroports. In order to help children and adults facing challenges in the development of language, we have a few softwares in our catalog destined to parents, teachers and speech therapists. Metafo is one of these products, an educational software specifically targeting dyslexic children learning to write. If health and security at work is an area that worries you, we have a solution for you. With over 200 titles, including a few dozen in French, we cover most occupational health and security related issues. In 90 minutes per title, you will learn everything from fall prevention to SIMDUT. In conjunction with one of the largest health facilities in Quebec, we have developed a few dozen clinical and management modules to use in health facilities and in the corporate environment (hygiene, risk prevention, etc.). Contact us to check if you can access them. We offer a vast scope of products and services for online language training: language courses and tests. Our contents distinguish themselves by the educational quality and the easy integration in distance learning devices, both in a technical and educational sense. Each theme is made of several training modules. Most of these modules are available both in French and in English and are 30-60 minutes long. They include theoretical elements, advices and tricks, a few practical cases, evaluations and an overview at the end, including the essential items covered and evaluation results. Our online office automation training catalogue is rich with over 300 interactive and multimedia modules. Made up of training, evaluation and even course manual elements, they cover most MS Office for the last 20 years, but also the different versions of Windows and other applications such as Lotus Notes, Lync, OneNote, SharePoint, general Computer science and the Internet. Between 12 and 24 hours of training by available title. Titles also available in English. Please askone of our representatives. To organize and coordinate the organization of process and support tool in a more and more requiring environment, we need a versatile person able to ensure this critical liaison. Very athletic, holding an Accounting Degree and possessing a strong coordination background, Chantal brings a positive energy to our company that radiates into her work organizing the back office for our clients. Since the reputation of a company rests first and foremost with a good understanding of its clients’ challenges, we needed a strong man in this department. Holding a university degree, Steven Mongrain has been facing these challenges every day with flying colours for the last 20 years. Each of our company’s clients has noticed his legendary gentleness and his utmost rigour while treating each situation. Celine holds a diploma in Computer Science, she has a passion for training and she joined EDU-PERFORMANCE already 18 years ago. She has since been involved with the contents of all of our major generic and custom-made e-Learning modules, making her one of the most committed and versatile members of our company. She now runs our contents team and always make sure that we respect the production deadlines with the highest standards of educational and computing quality, to the great good of our customers. Her gentleness and professionalism make her one of our company’s most appreciated resource. Patrice holds a solid university training in Computer Science and he has led EDU-PERFORMANCE’s distance training technology for over 15 years. With his creative and rigourous mind, he has contributed to shape tour Tactic! LMS platform, renowned for its toughness and great user-friendliness among which there are some of the largest businesses in Canada. By his hard work, he has offered his abilities to the company, but also a great spirit and a natural gift to lead an ever-growing technology team. Sylvain holds a diploma in Mechanical Engineering from the ÉTS, and in Political Science and Business Administration at UQAM. He has been working in the realm of education and training for the last 25 years. Starting in 1997, he has managed online training program development projects and the development of LMS/SGA training platforms in order to support training within the large businesses in Quebec and for the implementation of these solutions across the world. With a large experience in large team management, he also worked in parallel to the business development aspect of the operations, at the very heart of his professional activities. Sylvain has sold and implemented e-Learning and traditional training solutions, in Canada and in the United States, as well as in Africa and in South America. He has spent over 10 years to develop the African continent by taking part in projects involving major providers of international funds. During his career, he was won several awards for his work in Canada and across the world. Since 2005, he has become Edu-Performance’s Executive VicePresident and Sales by becoming one of the company’s two shareholders. André holds a Bachelor’s degree in Law (licence) from the University of Montpelier and another in Business Management from the University of Paris. For 25 years, he’s blended his passion for computers and training by launching Edu-Performance.Involved in the programming and the educational design as well as in the business development of the company, André has developed a great expertise on the multifaceted aspects of e-learning. Mostly focused at the beginning on the creation of quality Office Automation contents used both in Canada and in Europe that made its reputation, André took a technological turn in the mid-1990s by adding a high-performance hybrid LMS platform to its wide range of products and services as well as an online training catalogue with over 800products. André has the reputation of being one of the pioneers of e-Learningin the French world and has won back to back MIM Trophies (MultimediaInternational Market) in 1999 and 2000 in the “Online training content”category. His experience with both e-Learning and Social Learning had him address crowds as a guest speaker at the e-Learning Expo in Paris. Afin d’aider les enfants et adulte qui éprouvent des difficultés dans l’apprentissage du langage, nous avons dans notre catalogue un ensemble de logiciels destinés aux parents, enseignants et orthophonistes. Parmi ces produits, Métafo est un logiciel éducatif qui s’adresse spécifiquement aux enfants qui apprennent à écrire et qui sont dyslexiques. En collaboration avec l’un des plus grands établissements de santé du Québec, nous avons développé une vingtaine de modules cliniques et de gestion pouvant être utilisés tant dans les établissements de santé que dans les entreprises (hygiène, prévention des risques, etc..). Consultez-nous pour vérifier si vous pouvez y avoir droit. Nous vous proposons toute une gamme de produits et de services pour la formation linguistique en ligne : cours de langues et tests de langues. Ce qui caractérise nos contenus, c’est leur qualité pédagogique et leur facilité d’intégration dans des dispositifs d’apprentissage à distance, aussi bien sur le plan technologique que pédagogique. de ventes et des appels d’offres. Pour organiser et coordonner l’organisation des processus et des outils de support aux ventes dans un contexte toujours plus exigeant, il nous fallait une personne polyvalente et capable d’assurer ce lien indispensable. Grande sportive, titulaire d’un diplôme en Comptabilité et d’une forte expérience de coordination, Chantal apporte à notre entreprise une énergie positive qui s’en ressent pour organiser le backoffice pour nos clients. Patrice possède une solide formation universitaire en informatique et préside aux destinées des technologies de la formation à distance chez d’EDU-PERFORMANCE depuis plus de 15 ans. Par son esprit créatif et rigoureux, il a contribué à façonner l’architecture de notre plateforme Tactic! LMS qui est reconnue pour sa robustesse et sa grande convivialité par ses utilisateurs parmi lesquels figurent les plus grandes entreprises au Canada. Par son travail acharné, il a apporté à l’entreprise non seulement ses compétences, mais un bon esprit et un don naturel pour la direction d’une équipe technologique toujours plus nombreuse. Titulaire d’un Diplôme en génie mécanique de l’ETS, en sciences politiques et en administration des affaires de l’UQAM, Sylvain œuvre dans le milieu de l’éducation et de la formation depuis plus de vingt-cinq ans. Dès 1997, il a géré des projets d’élaboration de programmes de formation en ligne, en salle et au développement de plateformes d’apprentissage LMS/SGA pour supporter la formation au sein des plus grandes entreprises au Québec et pour l’implantation de ces solutions à travers le monde. Habitué de la gestion de grandes équipes, il s’est investi en parallèle dans le développement des affaires qui est depuis plus de 25 ans au cœur de ses activités professionnelles. Sylvain a ainsi vendu et implanté des solutions de formation e-Learning et traditionnelle, tant au Canada qu’aux États-Unis, qu’en Afrique, qu’en Amérique du Sud, il a passé plus de 10 ans à développer le continent Africain en participant aux projets des grands bailleurs de fond internationaux. Au cours de sa carrière il a reçu plusieurs mentions honorifiques pour ses différentes réalisations autant au Canada, qu’ailleurs dans le monde. Depuis 2005, il œuvre au sein d’Edu-Performance à titre de Vice-Président exécutif et ventes en devenant l’un des deux actionnaires de l’entreprise. Titulaire d’un diplôme en informatique et passionnée par la formation, Céline est arrivée chez d’EDU-PERFORMANCE il y a déjà 18 ans. Depuis, elle a participé à tous les grands projets de réalisation de contenus e-Learning générique et sur mesure, ce qui en fait l’une des ressources les plus engagées et polyvalentes de l’entreprise. Aujourd’hui, elle dirige l’équipe des contenus et s’arrange toujours pour faire respecter les échéanciers de production avec le plus grand standard de qualité pédagogique et informatique possible, au plus grand bénéfice de nos clients. Sa gentillesse et son professionnalisme en fait l’une des personnes ressource de l’entreprise les plus appréciées. Titulaire d’un baccalauréat en Droit (licence) obtenu à l’université de Montpellier et d’un autre en administration des affaires à Paris, André a conjugué depuis 25 ans sa passion pour l’informatique et la formation en créant Edu-Performance. Participant autant à la programmation qu’à la conception pédagogique, ainsi qu’au développement commercial de la compagnie, André a développé une grande expertise quant aux multiples facettes du e-Learning. D’abord essentiellement polarisé sur la création de contenus bureautiques de qualité et largement utilisés tant au Canada qu’en Europe qui ont fait la renommée de sa compagnie, André a pris un virage technologique dès le début des années 1997 en ajoutant à la gamme de ses produits et services une plateforme LMS hybride très performante et un catalogue formation en ligne de plus de 800 produits. André est reconnu comme l’un des pionniers du e-Learning dans la francophonie, et a remporté deux années de suite en 1999 et 2000 le trophée du MIM (marché international du multimédia) dans la catégorie ‘Contenus de formation en ligne’. Son expérience, tant dans le e-Learning que dans le Social Learning, lui a fait faire récemment plusieurs conférences à Paris dans le cadre du salon du e-Learning. Parce que la renommée d’une entreprise dépend avant tout de la bonne compréhension des problématiques de ses clients, il nous fallait un homme fort dans ce département. Possédant un diplôme universitaire, c’est ce défi que relève tous les jours avec brio Steven Mongrain dans notre entreprise depuis 20 ans. Chacun des clients ayant fait affaires à notre entreprise depuis 20 ans aura certainement relevé sa légendaire gentillesse et sa rigueur extrême dans le traitement de chacun de ses dossiers.